What Simplero Triggers and Actions are Supported? New Purchase - Will be fired whenever a new purchase is made in Simplero. Tag Removed From Contact - Triggers when a tag is removed from a contact. Tag Added to Contact - Triggers when a tag is added to a contact. Delete Subscription - This will be triggered when a customer opts out of a list. An example of a desired action would be to send an Email or SMS. New Subscription - Triggered when someone subscribes to a list. Delete Purchase - Fired when a purchase expires, is canceled, or is refunded. Add Purchase - Create a new purchase for a selected product. Remove Subscription From a List - Unsubscribe from a list. Remove Tag From Contact - Removes a tag from a contact. Create or Update Contact - Add a new contact or optionally update the information about a contact in Simplero. Tag Existing Contact - Adds a tag to an existing contact. Subscribe to a List - Subscribe a customer to a list in Simplero. 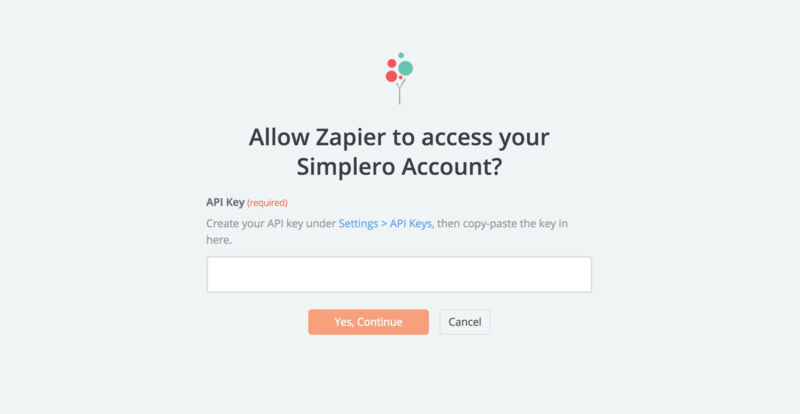 To get started with Simplero on Zapier, first you will need to click to connect your Simplero account to use with your Zap. Next, you'll be asked to enter your Simplero's API key. 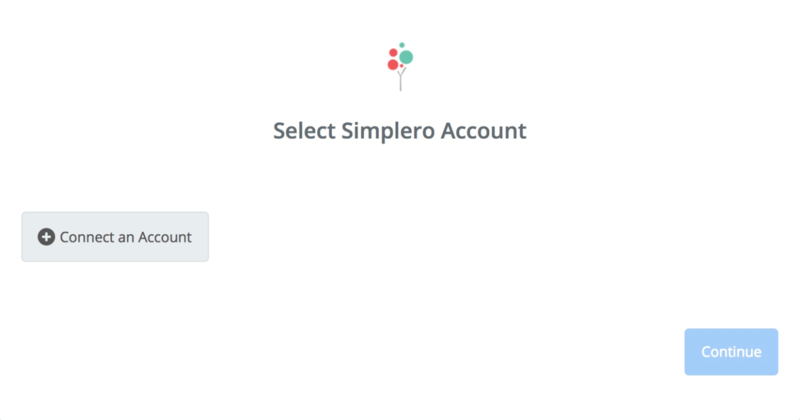 Log into your Simplero account. Type Zapier in the pop-up box. Select the clipboard next to the api key name and the api key will be saved to your clipboard. Paste your key back into your Zapier account and then “Continue”. 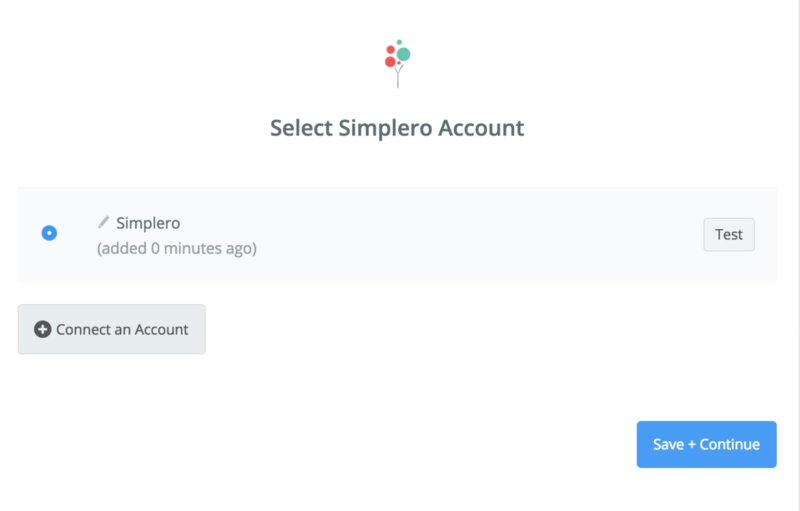 If your API key was entered correctly your Simplero account will now be successfully connected.